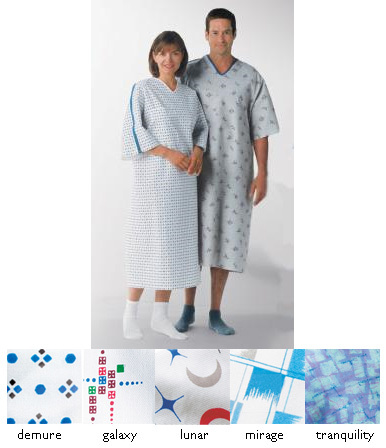 These hardworking gowns accommodate telemetry monitoring with ease. 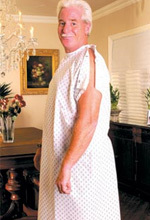 An off-center breast telemetry pocket allows wires to pass through a buttonhole inside the pocket, staying out of sight. The oversized pocket conceals monitor from view. I.V. 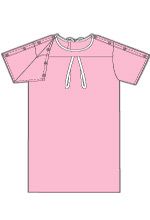 sleeves fasten with three to four stainless steel floating ring snaps, depending on sleeve length. 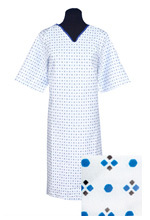 We also feature plastic snaps that are ideal for use during MRI procedures or surgery. 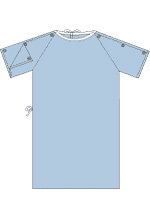 Gowns are generously cut with a 66'' sweep unless otherwise noted, and a tieside closure provides complete patient modesty. 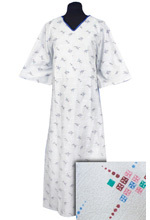 All ties are 100% polyester twill tape and reinforced to the body of the gown for added durability. 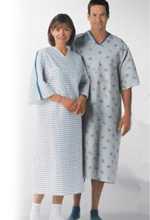 All gowns are made from Demure Cloth, 4.1 oz/sq yd unless otherwise noted.